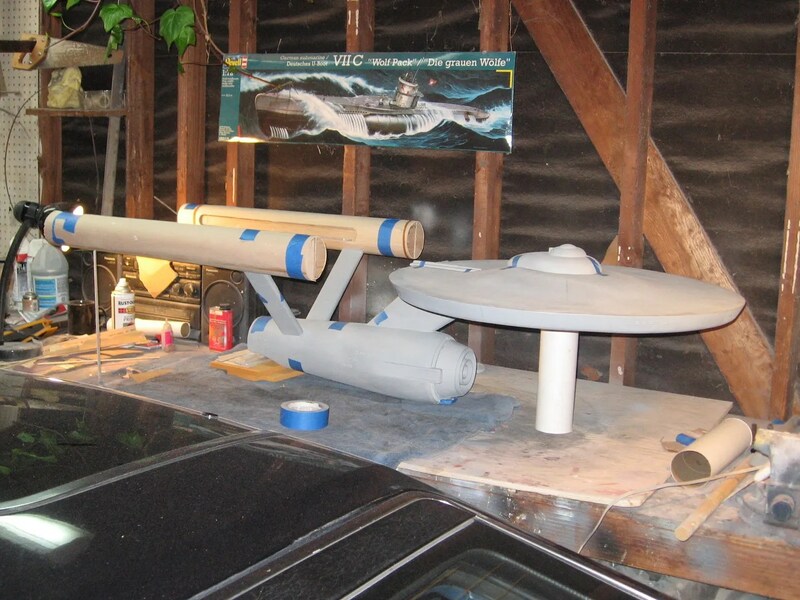 Today I got the Nacelles base structures sheeted. A thankless job really. Not my favorite part. CA all over my fingers and the frustration of getting it right is a pain. But I’m happy to be at the end of it. After this it’s on to making parts. I’m not going to glass the nacelle super structure just yet. Tomorrow I’m moving on to the warp dome structures and the end caps. At this point I just have to see it all together for the most part as it is a dream come true that for so long was only an image in my mind. Here’s one picture of her all straight and true. Jeff you know this stuff pretty well and I had know idea you scratch built those two 1:1 scale models. Wow! Fantastic!